MediaPress – Paid Memberships Pro Restrictions plugin allows site admins to limit number of gallery a user can create, number of media a user can upload and total storage spaces allowed to users by their membership level if the site is using Paid Memberships Pro plugin. This plugin can be very helpful if you plan to allow different users different amount of gallery, media and storage based on their membership level. We hope that this plugin helps you monetize your community. 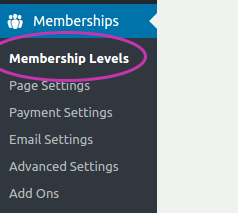 There you will see the list of the membership levels defined. To update the preference for a level, please click on edit there. Please update the values as you please. You can update the preference for each of the level by repeating the above process.